Sport camps including baseball, basketball, softball, lacrosse, field hockey, strength and conditioning, junior sports and more. Create a full day of art and tennis. Academic programs for enrichment or school credit. 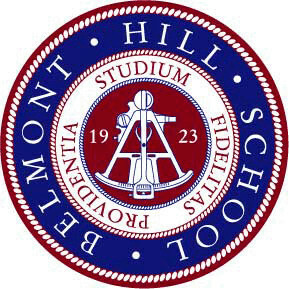 Belmont Hill School is dedicated to the same pursuit of excellence in its coeducational Summer Programs as it is throughout the academic year. The summer school classes and activities, which include art and tennis workshops, are designed to create a positive and supportive learning environment within a small group setting. They offer a solid line-up of courses taught by experienced and caring teachers and mentors. In addition, each student may elect as little or as much from our program as individual needs or interests dictate. Academic classes can be paired with art and tennis workshops to create a full day of studies and activity on campus. Summer offerings include various math, science, language, English, history, computer and SAT preparation courses. The art workshops include photography, theatre, woodworking, journalism, creative writing, 3D art, pottery and painting/drawing. The sport camps are tailored to separate ages and skill levels with the intent to improve both individual fundamentals and level of play. Homogenous groups, according to age, grade and playing experience, are established for skills, instruction and games. Good sportsmanship and the need for cooperative learning are stressed. The director of each camp is a qualified professional as well as a teacher/coach in the Belmont Hill tradition.